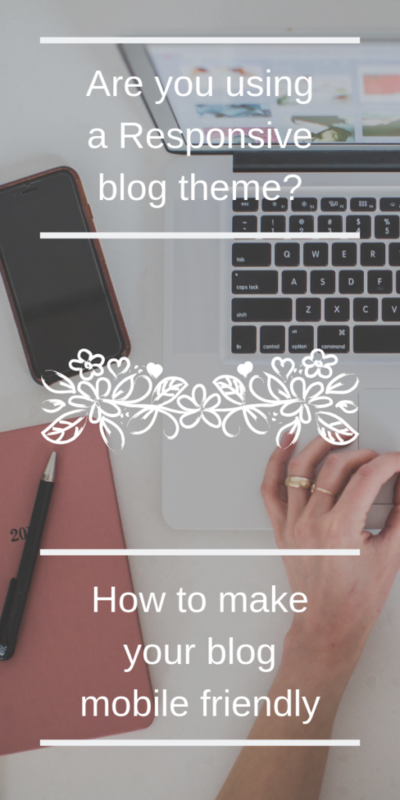 This post is all about making sure your blog is mobile friendly. 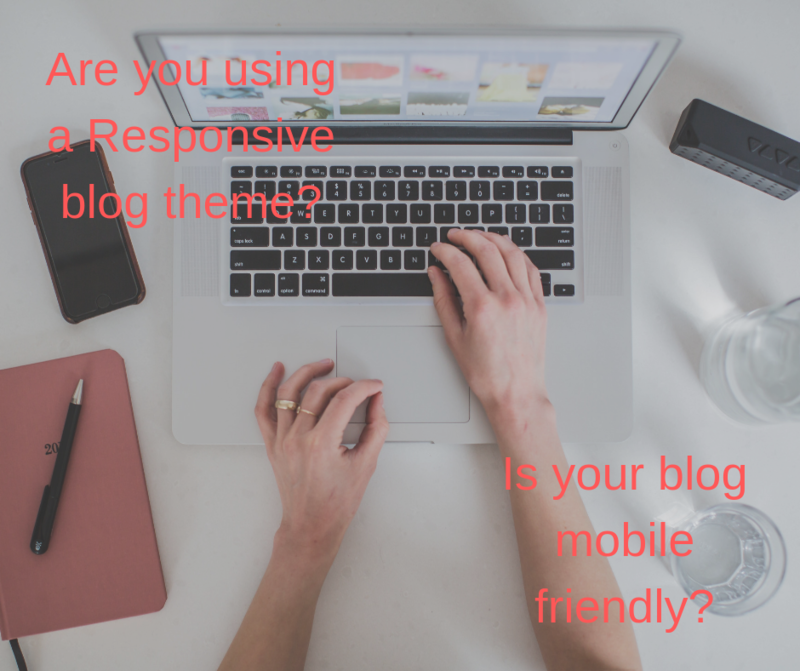 Why should you use a Responsive blog theme? That’s why! I am terrible. I spent all day trying to find a theme that was responsive that worked for me. Once again, I should have done this long ago. I mean, people have been using cell phones for how long now? I am always late getting things done. 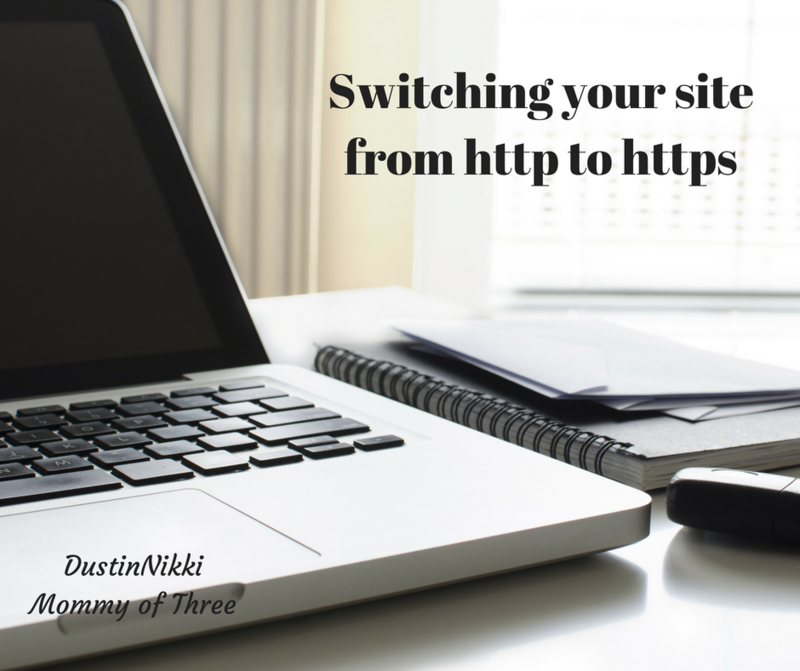 It took me forever to switch from http to https. At least now my blog is officially mobile friendly. 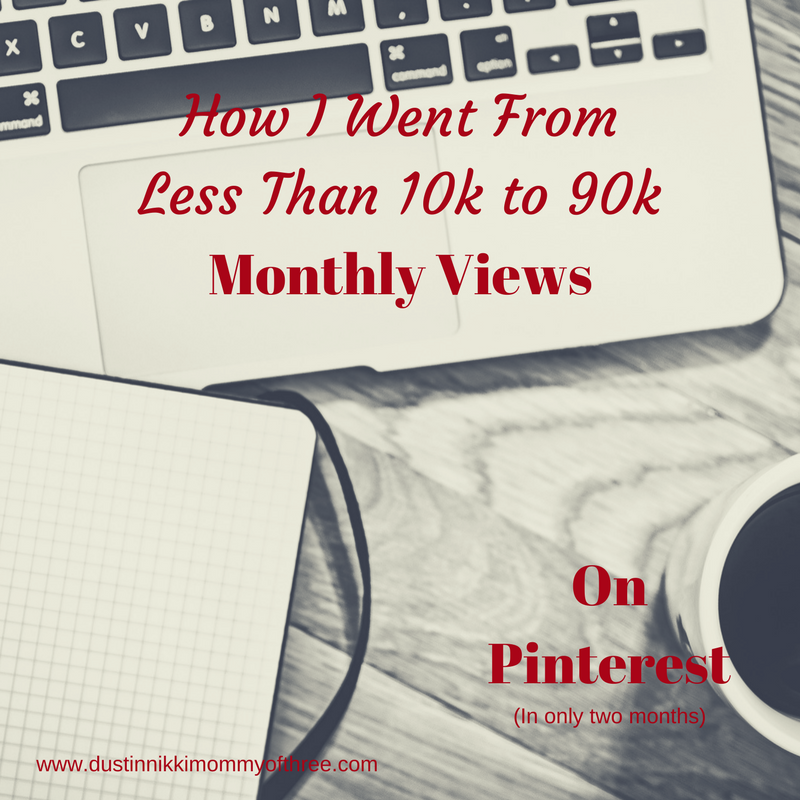 What prompted me to do this was one; I noticed my blog loading kind of slowly. Two; other readers have mentioned to me about having issues every now and them. Not that often but enough that I knew it could be a problem. Three; the theme that I was using (Atahualpa) was outdated. I didn’t even realize the creators stopped maintaining it a couple years ago. See? I don’t pay attention enough. I really wanted a more simple look to my blog anyway. The reason why I stuck with that theme for so long was because you didn’t need to use a child theme with it and it was fully customizable. The thought of creating child themes scared me. I can figure most things out but there are some things that really hurt my head to even think about. I was searching for blog themes I might want to use for my blog and I came across and article about Responsive themes. After I learned what that was, I wondered if my blog was mobile friendly. I mean, it always looked okay to me if I looked at my blog on my phone. Although I did sometimes have loading issues but not very often. 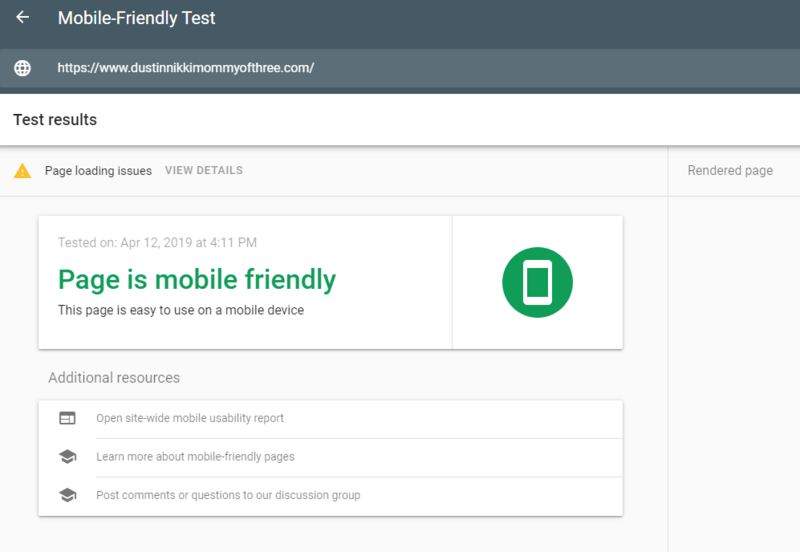 I found out that Google has a mobile friendly test. All you have to do is copy and paste your blog address in and Google will analyse it for you. After it’s analyzed, you will see results something like this. These weren’t my first results. Before I switched themes, I got a big fat red, no your site is not mobile friendly. Bummer. So then I decided I definitely had to find a new theme. After switching, my blog is mobile friendly however, I do get a warning with some loading issues. You can see the details so that you can fix them. I had four or five errors and found that two of them was fixed after getting rid of a plug in that didn’t work anymore. Overall, my blog does load a lot faster now. It’s pretty darn quick. If your blog isn’t mobile friendly, your SEO and page rankings can take a hit. Not only does your site load so much better on your computer, across all web browsers, cell phones, tablets, etc., your rankings will start to look more positive. I just did all this today so I don’t have any results on that fact yet but when Google tells me something, I typically believe it. So when choosing a theme, looks for ones that say they are responsive. And ones that are great for SEO for obvious reasons. Once you get your theme all put together how you want it, check the mobile friendly test again. A child theme doesn’t have anything to do with your site being mobile friendly but I thought I would put a little bit about it in here. I found the Child Theme Configurator WordPress Plugin that does the work for you. I am telling you, all you have to do is click a few times. When you use that plug in, it will analyse the theme you want to use to see if it’s good to go to work with a child theme. If it’s all good, you will see a green check mark and you are ready to create it. 9 times out of 10, you can just leave the choices alone because the recommended ones will be checked after it was analyzed. If you get errors (they will show up yellow), you probably shouldn’t use it. It will list the errors and most of the time it will have something to do with the theme itself. But pay attention because the one I am currently using had errors but it wasn’t related to the theme. It was related to the broken plugin I had activated. Once I deactivated it, I got the green to go ahead with my child theme. Yes, child themes are important because without them, any time you update your theme, you will lose any changes you ever made to it and pretty much have to get everything back from scratch. If you need more information about child themes there is a lot of great information out there. And I do recommend doing some research if you don’t know much about them. If your blog isn’t responsive and not mobile friendly, you should really look into changing that! 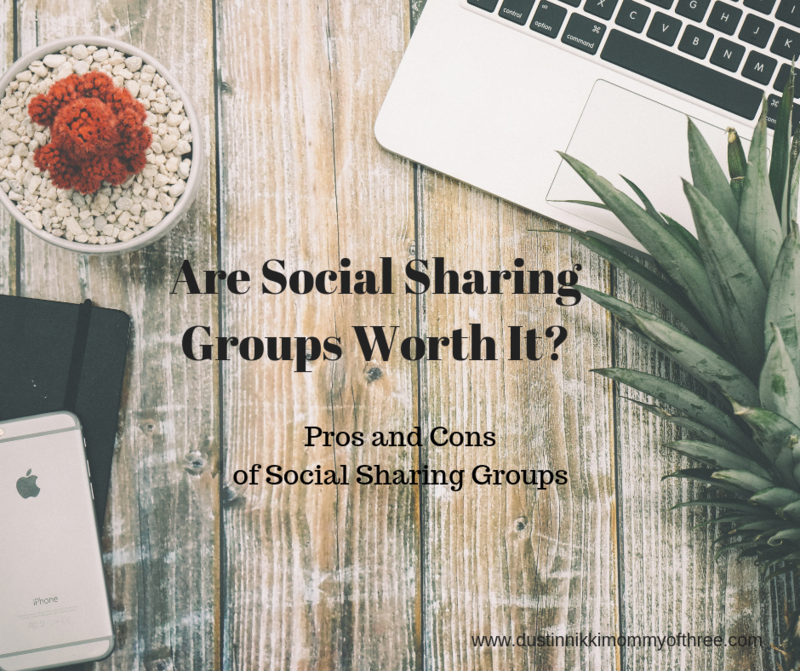 I hope this post is found to be helpful. I am not an expert in any way but this was my recent experience! 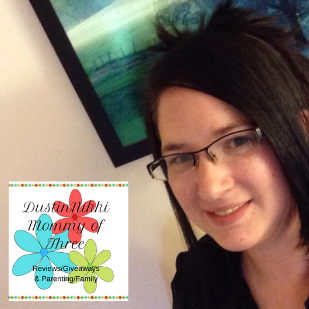 If you are a regular here at DustinNikki Mommy of Three, what do you think of the changes?